Our aim at Port Parking is to ensure that the start to your holiday is as stress free and relaxing as possible. Port Parking is the closest long term parking facility to the Port of Dover Ferry terminals, ideally located just off the M20 and only 1 mile from the actual Port of Dover. Upon your arrival at Port Parking, you will be greeted by one of our professional and friendly staff, who will then transport you and your luggage by minibus on the 5 minute journey directly to the Port of Dover. When you have notified us of your arrival back at the Port, we will arrange to collect and return you to your vehicle. Our parking facility is completely secure with Electric Gates, CCTV and security patrols, so you can rest assured that your vehicle will be safe and secure during your cruise. 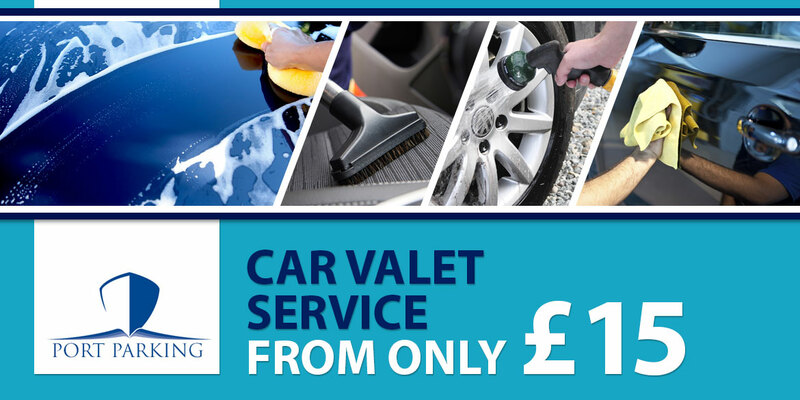 Our dedicated and experienced team at Port Parking now offers a professional valet service whilst your car is in our care. Available as an optional extra to your booking, why not collect your car looking shiny and new! We recommend booking online to guarantee availability but our friendly staff will always try to accommodate any requests made upon arrival.